Following a visit by Mission Manager Immanuel in mid-2105, Pastor Ahaj Kumar Pani ‘s ministry in Odisha became one of Yesuway Jeevan Mission‘s ministry partners. The State of Odisha is located to the north-east of the Tamil Nadu State where YJM is based, and on the coast of the Bay of Bengal north of the State of Andhra Pradesh. The 2011 national census put the population of the state at 42 million – 270 people per square kilometre. The same census indicated that approximately 2.4% of the population were Christians. 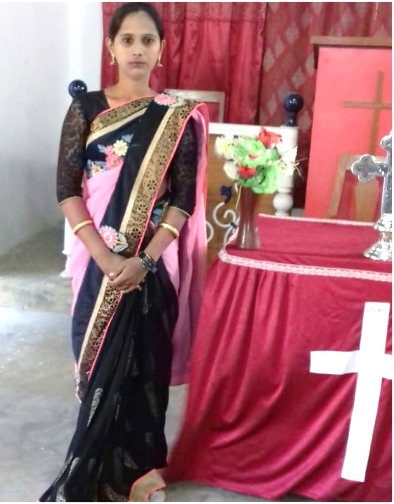 Over recent years Christians in the state have come under very severe persecution from radical Hindu believers, and have had very little support from the authorities during that persecution. Christians have been driven out of their homes and villages and told not to return until they are willing to revert to the Hindu faith; houses have been burned and other terrible atrocities committed, sometimes with the police and authorities literally standing by when these events have happened. 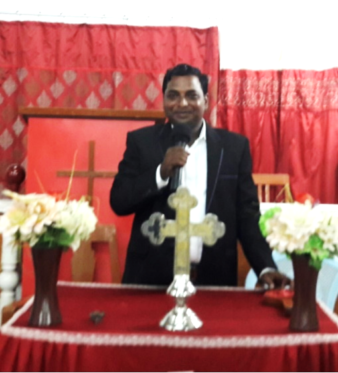 Pastor Pani has been ministering in the Jharsuguda District which is in the north-western corner of the State since 1999. 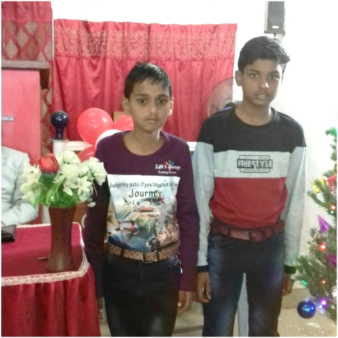 At the time of Immanuel’s visit Pastor Pani’s “home church” was a small church in the city of Jharsuguda which had 40 believers. He also had ministries in five other villages with a total of 292 believers! Since that time he has added many new ministries, including many areas where he has been the first to take the Gospel to the people living there, and he has faithfully sent details of those ministries, along with prayer requests for his ever-increasing ministries. Pastor Pani recently sent this brief testimony about himself and his family. I received Jesus Christ in the year of 1997. I studied in Bible College for five years, then God gave me the privilege to do His work. I am married to Asha and blessed with two kids, Vision Kumar Pani and Burden Kumar Pani. Me and my wife both are fully committed and dedicated for America Advent Mission Ministry and working for it for the expansion of God’s kingdom. Here I attach the family photos – Pastor Pani, wife Asha and children Vision Kumar Pani and Burden Kumar Pani. Please pray regularly for Pastor Pani, his family, his team of assistants and all their ministries.